The introduction of the Mobile Number Portability (MNP) by the National Communication Authority (NCA) has boosted competition in the telecommunications sector. 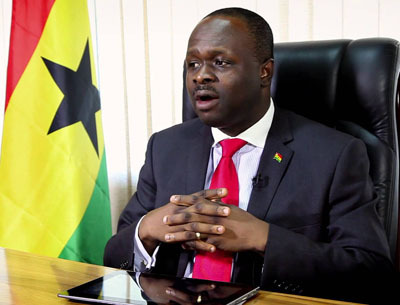 According to Edward Omane-Boamah, Minister of Communications, the MNP policy ultimately guarantees that telecommunication companies meet the needs of their consumers. Dr Omane-Boamah disclosed this at a four-day industry workshop for delegates from the West Africa Telecommunication Regulators Assembly (WATRA) under the Mobile Number Portability and Quality of Service. In a speech read on his behalf, the minister said customers have become very sophisticated and more interested in the kind of experience they receive and not the network performance or functionality, which may affect their experience. “As operators and regulators of the industry, the goal should be how to achieve Quality of Experience (QoE). I have been following with keen interest the activities of the WATRAfor sometime now, and I must say I’m impressed by the efforts being made to promote the growth of telecommunication within the ECOWAS sub-region,” he said. Deputy Director-General of NCA, Albert E. Enninful disclosed that the success of the MNP in Ghana was based on collaboration between the regulator, the operators and providers of the service. MNP, which started three years ago, gives customers a very unique opportunity to port from one network to another without having to change the mobile telephone numbers. At the end of February, this year, the NCA had recorded over 2 million successful porting requests, with each porting process taking place in less than six minutes.